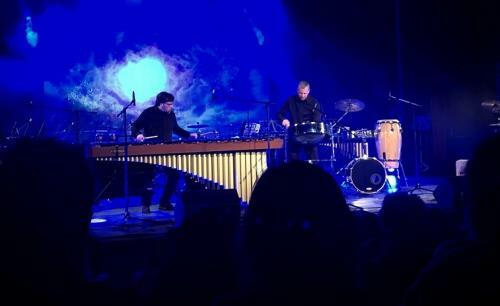 Lee University will host Marimba Madness featuring the Britain-Moore Duo and percussion students of Dr. Andy Harnsberger on Sunday. The performance will take place at 3 p.m. in Squires Recital Hall in Lee’s Humanities Center. The performance will include works by J.S. Bach, Dame Evelyn Glennie, Adam Hopper, Matthew Lorick, Jesse Monkman, Mitchell Peters, Eric Sammut, and Alejandro Vinao. The BMD has performed extensively across the United States, alongside musicians such as Peter Erskine, Fernando Hashimoto, The Percussion Group Nexus, and Jonny Rabb. Mr. Britain has traveled to Trinidad several times to participate in the Panorama competition. Mr. Moore has fine-tuned his approach to the marimba and vibraphone with hundreds of solo performances throughout the world over the last 30 years, also helping enhance the BMD’s global perspective on music. Both have traveled to China to perform and learn traditional Chinese drumming. Dr. Harnsberger, associate professor of percussion and percussion coordinator at Lee, is active throughout the year as a freelance percussionist and recitalist. He is a performing artist and clinician for Malletech Instruments and Mallets, Remo Drum Heads, Sabian Cymbals, Ltd., and Grover Pro Percussion. Marimba Madness is a free, non-ticketed event, and is open to the public. For more information, contact the School of Music at 614-8240 or email aharnsberger@leeuniversity.edu.